Garage, basement, attic, backyard, spare bedroom – junk gobbles up space and clutters home and life quite a lot. If junk is shrinking your home and making life tougher, get it removed swiftly and conveniently from certified professionals at Kelley Klean at very affordable prices. Householders find it tough to tackle clutter on their own for two reasons. One, it takes up too much time, something everyone is short of. Two, clutter is so overwhelming that you don’t know where to begin and where to end. This is where Kelley Klean steps in. Call us at 573-214-0990 and our trained junk removal experts will come to your doorstep for professional assessment and cost estimate. Once you give the go-ahead, we will remove all the junk you want to be cleaned up to free up valuable space for your needs. Actually, we know from experience that most clients are pleasantly surprised to get more usable space in their own home. 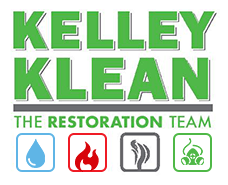 Once you entrust your junk cleanup to Kelley Klean, sit back and relax. No matter how big or small or cramped up the space is, we will clear up every inch, leaving it amazingly de-cluttered, totally free of junk. We are also specialized in removing Furniture, Mattress, and Piano. Junk removal is a value booster idea if you are planning to put up ‘Property for Sale’ notices. Any real estate agent will confirm that a de-cluttered space attracts more potential buyers faster and fetches better prices too. Money spent on junk removal is an investment that ultimately gives you a fatter profit margin. Cleanouts generate junk that you may not be able to dispose of on your own effectively. Sometimes landlords need removal of heaps and piles of junk left by vacating tenants. Be sure to check that your junk removal company is equipped to handle this. At Kelley Klean, we offer total junk removal services at very budget-friendly rates. Whatever your garbage collection services leave behind – non-working gadgets and appliances, broken down furniture, and paints – we will cart it all away for you. We can also remove biodegradable clutter like lawn debris, broken branches, old trees, trunks and stumps, and any other loose junk with total safety and efficiency. At Kelley Klean, our experts are certified in hoarding cleaning by Institute of Inspections Cleaning & Restoration Certification (IICRC). This certification validates our experts’ bio-technical and cleaning know-how. Hazardous materials are disposed of safely and properly. Being environmentally aware, we also recycle and donate (to worthy charities) whatever is useful so as to not overburden the landfills. Do you know an average hoarder, through their lifetime, can actually spend $150,000 or more on pointless purchases! Make no mistake; hoarding is a serious issue that needs help. Those who hoard usually live 8 to 16 years less than those who don’t. Friends and family willing to help out a hoarder variety loved one, are often overwhelmed on how and where to start. Give Kelley Klean a call at 573-214-0990 and our IICRC certified experts will visit, assess and give you time and cost estimates. We understand that hoarding cleanup is often an emotional issue for the client. Our compassionate experts are trained to comprehend attachment issues a hoarder may feel during the cleanup. We work supported and guided by professional and experienced mental health workers to ensure the client’s peace of mind. Guided by family, we ensure that genuine keepsakes are not carried away. Plus, we keep our cleaning pace within our client’s comfort zone. Small space or large, when you hire Kelley Klean for a hoarder clean up, we work to create a neat and clean, safe and secure environment for healthier living.